Aurora, Oregon. After an extensive evaluation of portable digital scopes, taking into account performance, cost, and suitability for ham radio applications, PreciseRF is please to announce the selection of the Hantek 200MHZ DSO5202B Digital Storage Oscilloscope. 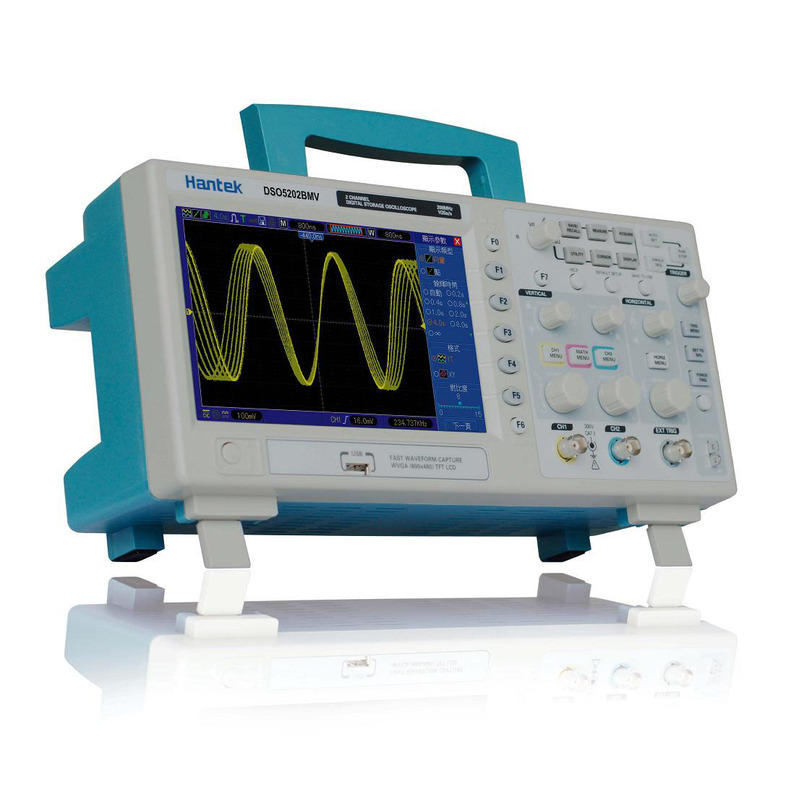 The Hantek DSO5202B Digital Storage Oscilloscope is a 200MHz scope that provides real-time sample rates up to 1GSa/s and equivalent sample rates up to 25GSa/s. In addition, it has 1M memory depth for better observation of waveform details. The 7 inch color TFT LCD Display with Windows-style interface and menus provide easy operation. A PreciseRF exclusive is a NIST reference certificate. Each New Hantek scope undergoes a rigorous performance check with NIST traceable calibration instruments in our lab prior to delivery to you. This insures the scope meets published specs and characterizes the actual bandwidth and rise time achieved.